The use of natural products is a growing phenomenon both in Italy and in the rest of the world. Some mushrooms have been used by the Eastern traditional medicine for centuries to improve the general health, increase the immune defenses and as adjuvant for the treatment of chronic diseases. 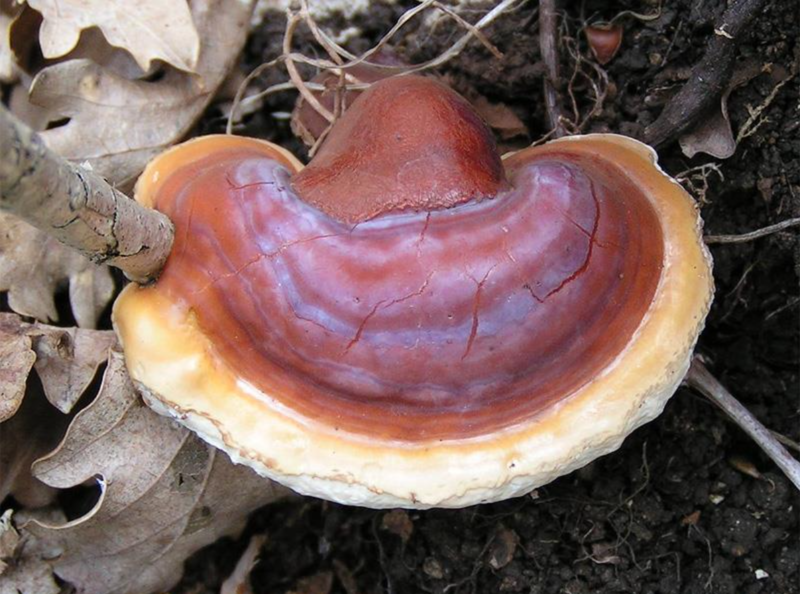 The Ganoderma lucidum, also known as reishi in Japan and língzhī in China, is a mushroom (see Figure) that can be consumed as tea, different types of beverages or nutraceutical preparation. Approved in Italy by the Ministry of Health as nutritional supplement, the G. lucidum is present on the market in different preparation (powder, extract) in addition to tea, coffee or chocolate blends. The hypoglycemic properties of the mushroom have also been studied in experimental models and it has been demonstrated that the triterpenes and polysaccharides isolated from G. lucidum inhibit the differentiation of adipocytes and produce beneficial effects, hypoglycemic, on diabetes mellitus type 2 in murine models.2,3 The results of a recent study on mice4 reveal that G. lucidum decreases glycaemia and that its polysaccharides with high molecular weight can be used as prebiotic agents to prevent intestinal dismicrobism and metabolic disorders linked to obesity in overweight mice. The last two reports concern a man with acute esophagitis after only 4 days of taking a product containing G. lucidum, that resolved after discontinuing the supplement, and a woman whom presented cardiorespiratory and pancreatic insufficiency after taking green tea with G. lucidum, but the event was not considered correlated because the patient already presented a critical clinic picture. The products containing G. lucidum are, like many other natural products, available online, a channel hard to monitor. The consumer purchases without real guarantee on the quality of the product and without consulting a health professional. This might entail the risk of using the product for periods of time not in compliance with its characteristics or the risk of interactions with other drugs already administered. Besides, the Internet plays an important role in the dissemination of pseudo-scientific information from the website that sell these products. It is therefore necessary a correct information for the consumers whom, considering “natural” products safe, tend to take them naively and without awareness. These last considerations, together with the wide use of G. lucidum, might bring to an increase of the cases already discussed.